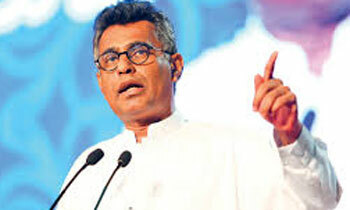 Megapolis and Western Development Minister Champika Ranawaka today requested the relevant officials who maintain law and order to take necessary actions to stop post election violence. Addressing a meeting the minister said although the ruling coalition had won the last Presidential and General Election it had never involved in any such incidents however following the recent Local Government Election victory by the Sri Lanka Podujana Peramuna (SLPP) it supporters were responsible for post election violence. He said the SLPP supporters behave in this manner after gaining victory in the local government polls and what would have happened if they were allowed to govern the country. He also added that in many instances it had been noticed that the police and law maintaining officials were not responding to the complaints. Minister Ranawaka said they have brought to the notice of Election Commission and other relevant authorities of such incidents. I suspect the police know who will be elected at the next general election and are therefore taking self preservation measures! This just shows what savages these people are..